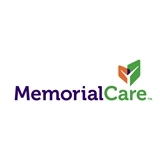 MemorialCare Medical Group Long Beach - Schaufele (Long Beach) - Book Appointment Online! We love Dr. Karm! She was very nice, professional and knowledgable. I was sad to not have Dr. West as our doctor this pregnancy, but after meeting Dr. Karm, I feel reassured and excited for treatment and visits with her.